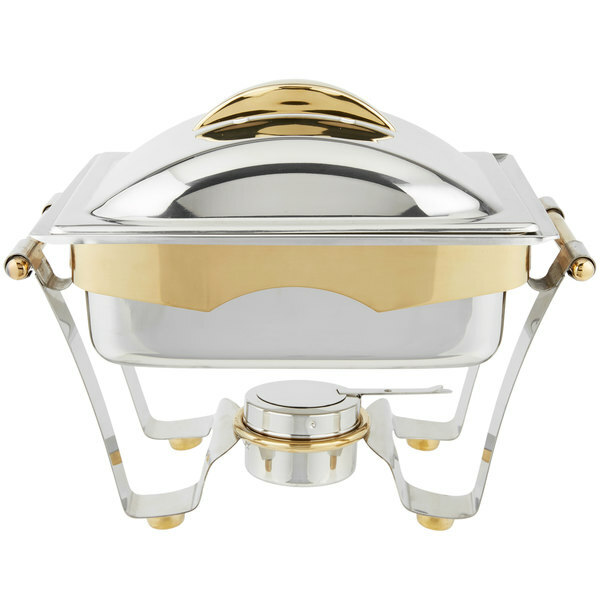 For an upscale, elegant presentation, serve your most popular dishes, buffet-style, in this Vollrath 48329 4.1 qt. 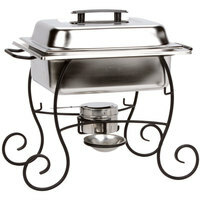 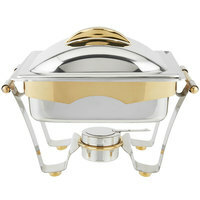 Panacea rectangular chafer! 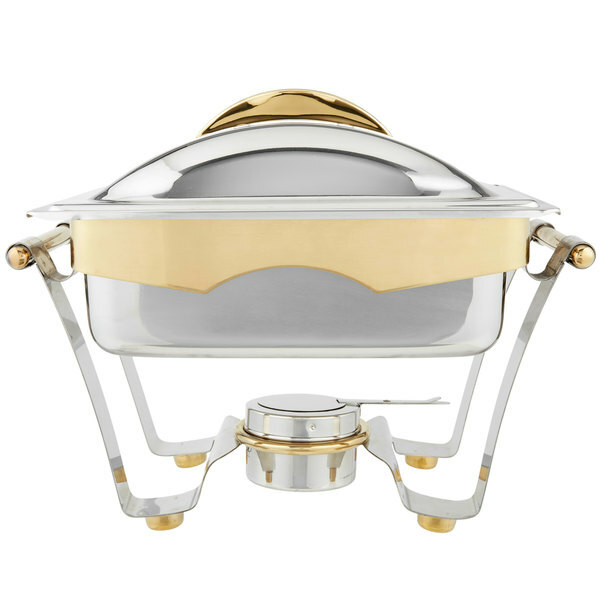 Featuring eye-catching gold accents and a mirror-finished stainless steel construction, this Vollrath 48329 4.1 qt. 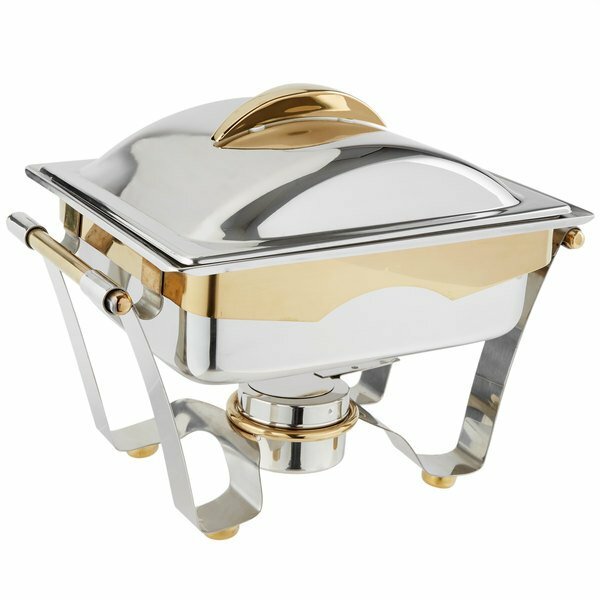 Panacea rectangular chafer is the ideal addition to sleek, modern buffets, breakfast bars, and catered receptions, everywhere! 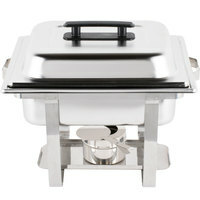 Its ample 4.1 qt. 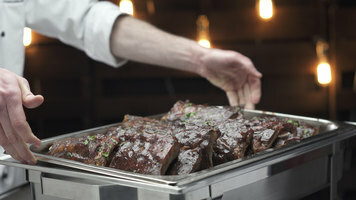 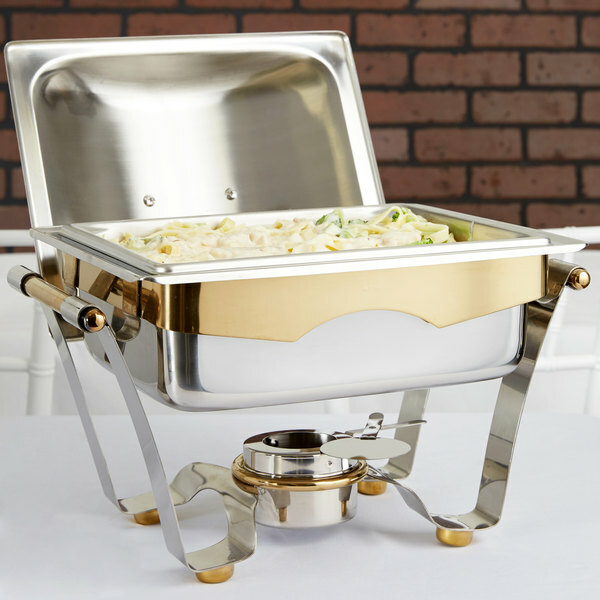 capacity makes it great for serving appetizers, entrees, or sides, while the durable design ensures it's up for everyday use. 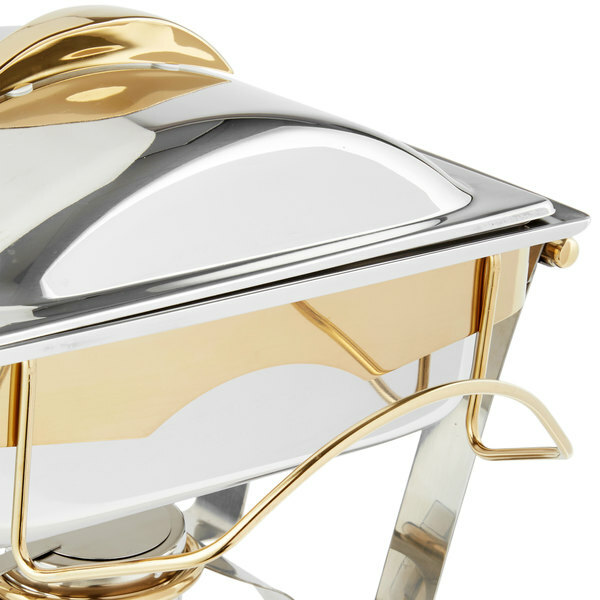 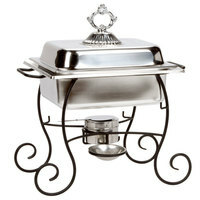 Thanks to its 24k gold accents and sweeping arcs, this chafer instantly adds elegance to buffets. 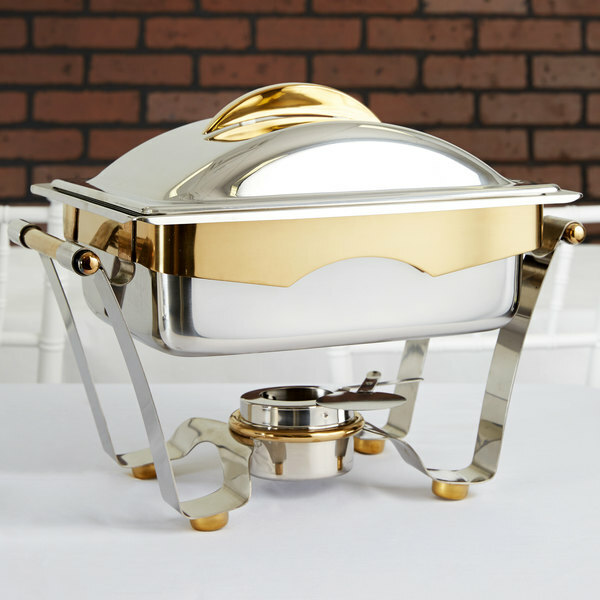 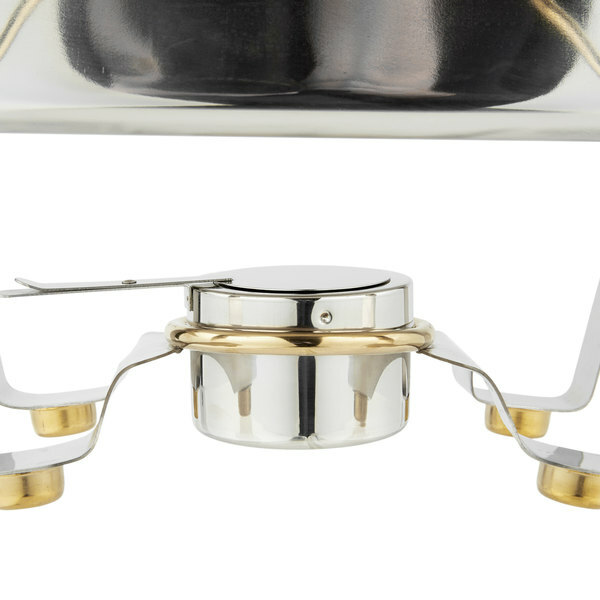 With a reflective mirror finish, this chafer enhances your decor while catching the room's light. 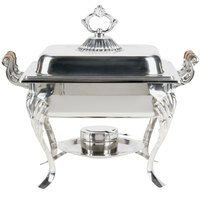 This chafer features convenient side handles for easy transport to and from the buffet line. 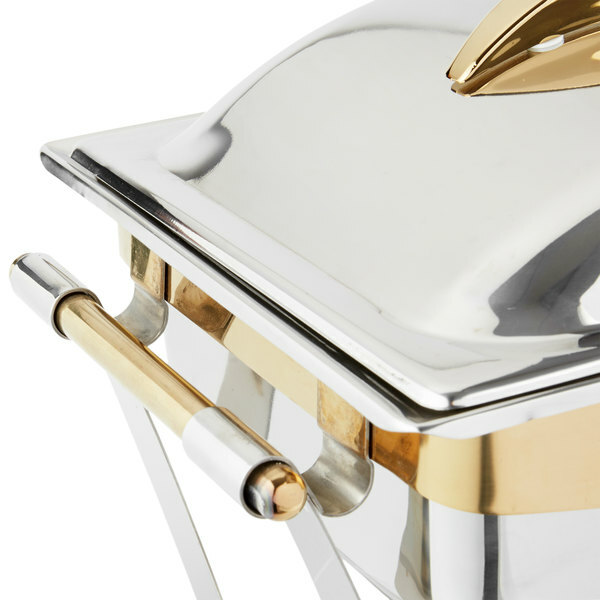 The bright gold cover handle adds to the convenience with an easy-to-grip design that's stylish, too. 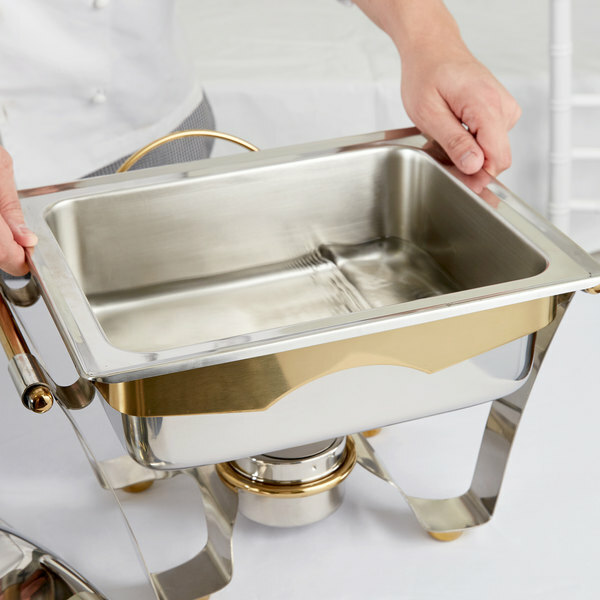 A single fuel holder makes this chafer capable of keeping your food at the perfect serving temperature, while ensuring even heat distribution for the duration of your event.